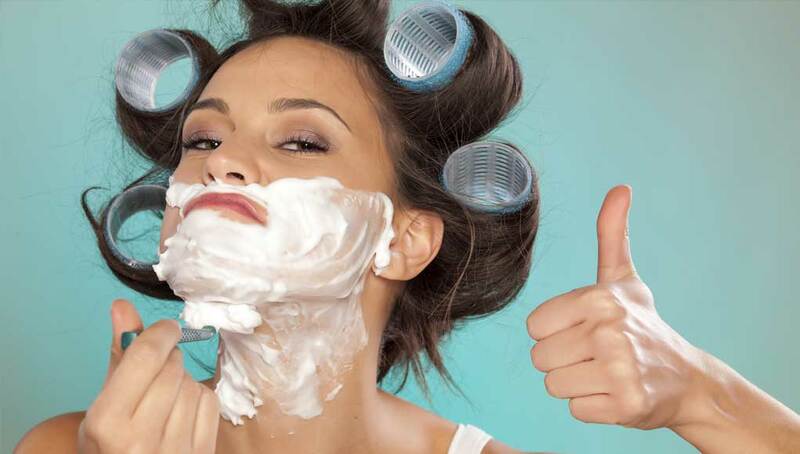 Why Women Are Shaving Their Faces… Should You? Why Women Are Shaving Their Faces...Should You? Ever since I had a facial years ago, I’ve been shaving my face about once a week. I had just assumed it was common practice for women until my husband pointed out a story that talked about a woman shaving her face as if this is a new thing. Apparently it’s not as common as I thought, but it sure should be, and it’s about time women are willing to talk about it. I’m a brunette, but my facial hair is blond fuzz… hardly noticeable to the untrained eye. So why do I shave?… because afterward, my face is extraordinarily smooth, soft and younger looking. Shaving removes the dead top layers of skin as well as the fuzz and acts as a gentle but thorough exfoliant. I find my moisturizing creams go right in and give a more dewy look than when they’re competing with a layer of fine hair. Also, I do have a few dark hairs on the ‘mustache’ line, and years ago I found that waxing there really hurts and leaves me with redness and irritation for a couple of days. I just couldn’t continue doing that. Shaving is easy, inexpensive, and painless, and it leaves nothing but beautiful smooth skin. Since I’m telling you about this, quite personal stuff, I will also admit to a few (okay, 4 to be exact) coarse, black individual hairs on my chin. Those I pluck. When I was growing up, I bought into the myth that if you shave your legs the hair will grow in dark and more bristly. I shaved my legs anyway, but I worried about it being true for my face until the aesthetician who got me started on face shaving assured me that it was a myth and just wasn’t true. I believed her, and sure enough, here I am decades later, still with fine, blond, facial peach fuzz that I shave. Caution… If you have certain hormonal conditions that cause heavy facial hair, or you’re taking medication that has changed your hair texture or rate of hair growth, shaving may not be for you. The best candidate is someone with naturally fairly light facial fuzz like I described above. I use the same brand of razor on my face that I use on my legs, etc., and it works great. When you shave your face, make sure you use a new razor each time, so it will be sharp with no drag and will not irritate your skin. I don’t use shaving cream because it clogs up my razor… preferring just some warm water… but you may find you prefer shaving gel or cream. Caution… just like shaving your legs, etc. be careful! Use a light stroke and don’t press hard. So, why else do I shave my face? Quite simply, I just love the way it looks and feels.